Shoes for the Shoeless is a non-profit organization based out of Dayton which has been making its way through Preble County schools this spring. Shoes for the Shoeless helps size and fit kids with brand new tennis shoes. The program came to National Trail on Tuesday, April 17. On that day alone over 145 students, of all grades, got shoes. Any kid that was absent on that day will still get fitted for shoes. S4TS gave all the liaisons a large stock of shoes to keep at each of our buildings so that we can get kids shoes as quick as possible when needed. The next Shoes for the Shoeless event will be Thursday, May 3 at Bruce Elementary. The last event for the school year will be May 17 at East Elementary. Anyone who is interested in volunteering can contact Leslie Bassler, Success Liaison for Eaton at lbassler@eaton.k12.us. 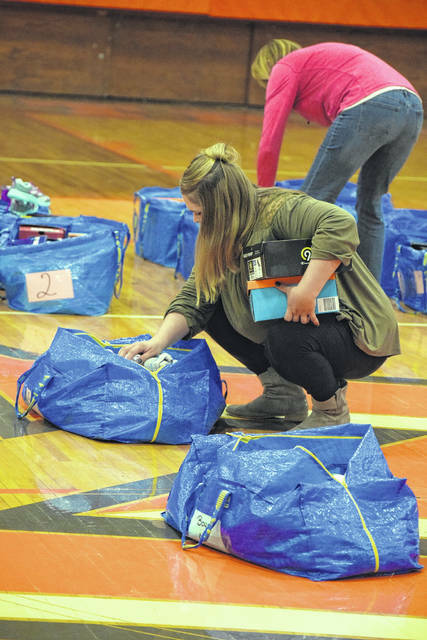 NEW PARIS — Shoes for the Shoeless is a non-profit organization based out of Dayton which has been making its way through Preble County schools this spring. 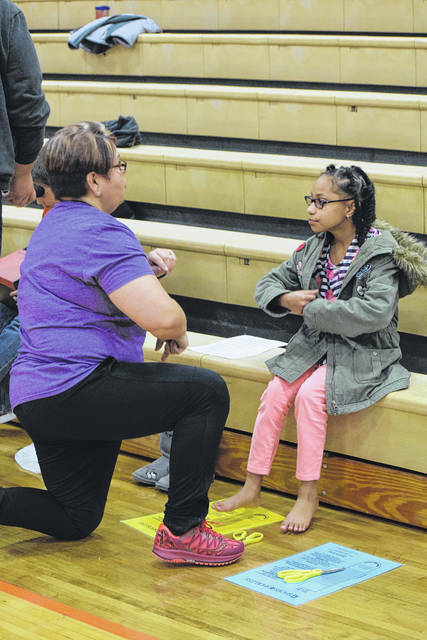 Shoes for the Shoeless helps size and fit kids with brand new tennis shoes — more than 400 shoes for Preble County children. According to National Trail Success Liaison Heather Ludy, the organization had been coming to Twin Valley South and Preble Shawnee for a couple of years, but when she saw the impact the program was making she knew she had to help bring the organization to all Preble County schools. 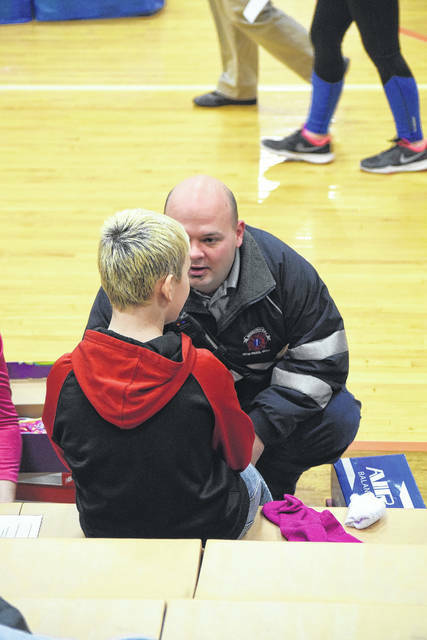 At this time, the program has been at Twin Valley South and Preble Shawnee for three years and two years at Tri-County North, Eaton Community Schools, and National Trail. “All of the Success Liaisons in the schools got in contact with Kris Horlacher who is the executive director of Shoes for the Shoeless and asked her to come out to all of the schools in Preble County. This is our second year partnering with them and we hope that continues for many more years,” Ludy said. The program visited National Trail on Tuesday, April 17. On that day alone, over 145 students, of all grades, received shoes. Any student who was absent on the day of the event will still get fitted for shoes. Ludy said, S4TS gave all the liaisons a large stock of shoes to keep at each of their buildings so they can get kids shoes as quick as possible when needed. 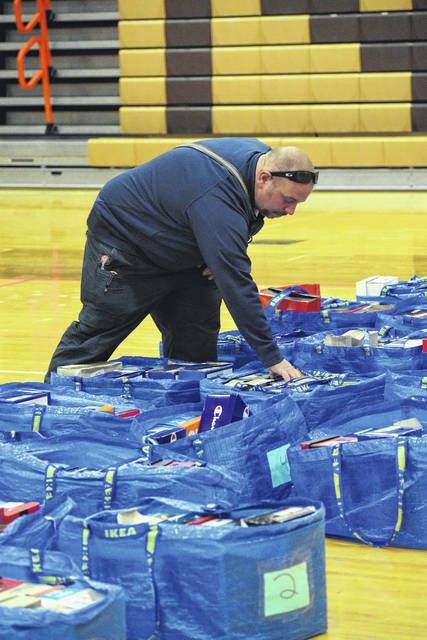 There are still two more Shoes for the Shoeless events coming to Preble County — but from the other schools combined, more than 400 kids have received new shoes in the county. The next Shoes for the Shoeless event will be Thursday, May 3, at Bruce Elementary. The last event for the school year will be May 17 at East Elementary. Anyone who is interested in volunteering can contact Leslie Bassler, Success Liaison for Eaton, at lbassler@eaton.k12.us. “When I first saw Shoes for the Shoeless at Twin Valley South I was blown away by their efficiency and ability to fit so many kids in such little time. They really are a well oiled machine! 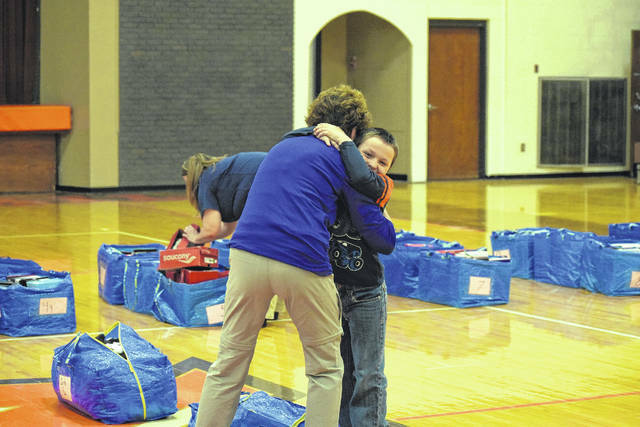 But I also knew that this was something that my school could benefit from,” Ludy said. 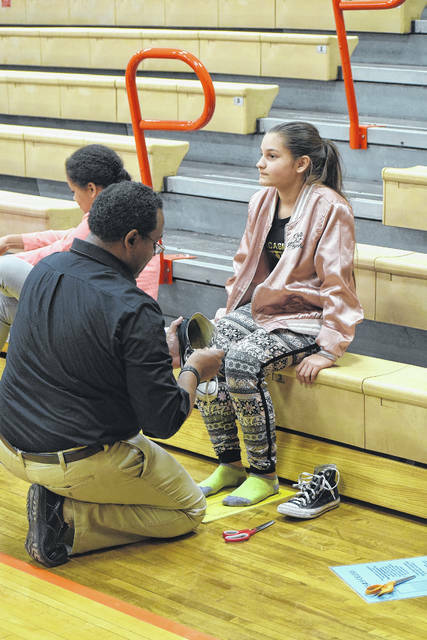 https://www.registerherald.com/wp-content/uploads/sites/41/2018/04/web1_Shoes25.jpgShoes for the Shoeless is a non-profit organization based out of Dayton which has been making its way through Preble County schools this spring. Shoes for the Shoeless helps size and fit kids with brand new tennis shoes. https://www.registerherald.com/wp-content/uploads/sites/41/2018/04/web1_Shoes30.jpgThe program came to National Trail on Tuesday, April 17. On that day alone over 145 students, of all grades, got shoes. Any kid that was absent on that day will still get fitted for shoes. S4TS gave all the liaisons a large stock of shoes to keep at each of our buildings so that we can get kids shoes as quick as possible when needed. https://www.registerherald.com/wp-content/uploads/sites/41/2018/04/web1_Shoes31.jpgThe next Shoes for the Shoeless event will be Thursday, May 3 at Bruce Elementary. The last event for the school year will be May 17 at East Elementary. Anyone who is interested in volunteering can contact Leslie Bassler, Success Liaison for Eaton at lbassler@eaton.k12.us.